The Marsh Rio Grande 6G3 Amp!!! 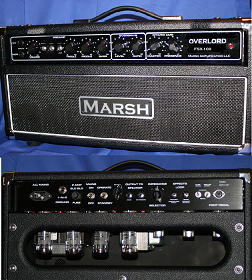 Marsh Amps is happy to introduce it's 6G3 Brown replica! This 12-14 Watt dual channel (Normal & Bright) early Californian model was a very popular amp with recording artists all over the world! Know for it's gritty Blues and Rock tones this 112 Combo with tremolo makes a great grab and go or recording amp! The Brown 6G3 is a tube rectified and dual 6V6GT powered combo. 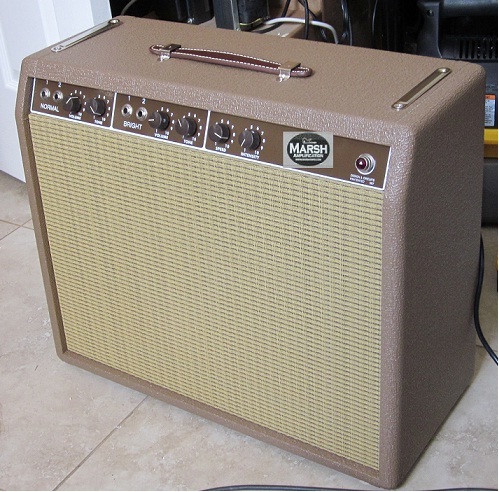 It comes stock with the classis Rough Brown Tolex with Wheat Grill. A Jensen C12Q is stock as well as plenty of upgrade options available. Like all our replicas these are made with US made Transformer and the highest quality vintage style components. Each Marsh Amp is hand built to order. Lead time is approx. 6 weeks. See our 6G3 Rio Grande Video Demo!! !